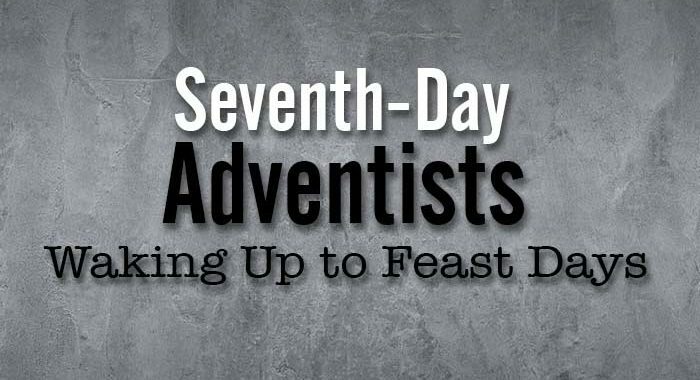 Seventh-day Adventist Church Waking Up the Feast days! There has been a recent trend with members of the Seventh-day Adventist Church coming to the knowledge and acceptance of the biblical Feast days. Examples of these days include the Feast of Unleavened Bread, the Feast of Weeks, a.k.a. Pentecost, and the Feast of Tabernacles. Not only are many realizing that the Messiah and apostles observed these days in the New Testament (Mark 14:1; John 7:2, 37; Acts 2:1-4; 12:3; 20:6, 16; 1Cor. 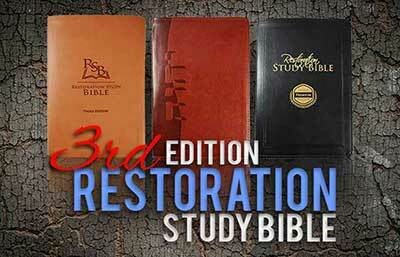 5:8), but they also offer incredible insight into our Creator’s plan of salvation for mankind. For instance, not only did the Passover bring redemption to Israel through the death of the Passover lamb, but the Messiah through His death also brought salvation to mankind. A similar connection is found with the Feast of Weeks. This Feast represents the giving of the Law in the Old Testament and also the outpouring of the Holy Spirit in the New Testament. 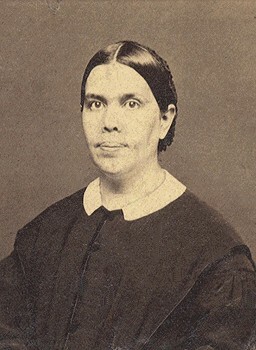 While Ellen G. White never officially endorsed the keeping of the annual Feasts, she nonetheless saw the value of these days. Perhaps with more time and study she would have come to this understanding, as she correctly did with the seventh-day Sabbath. While the Seventh-day Adventists offer many truths, there are more that they have yet to recognize, including the observance of the biblical Feasts, the use of Yahweh’s and Yahshua’s Names, and a correct understanding of who the Father and Son are as it pertains to the Trinity doctrine. If you are a member of the Seventh-day Adventist Church and desire more truth, consider exploring these and many other insights that the Bible clearly teaches. Let us not be unprepared when our Savior returns by ignoring portions of His Word, but search out what He says with an open and unbiased mind. “But sanctify Yahweh Elohim in your hearts: and be ready always to give an answer to every man that asketh you a reason of the hope that is in you with meekness and fear,” 1 Peter 3:15. Posted in Bible Study References, Biblical Feast Days, Former SDA Member? and tagged seventh-day adventists waking feast days, Seventh-day Adventist Church. There are any around here! There is also more truth in the Law of Moses than the yearly Sabbaths that people don’t want to hear about. Do you mean that there aren’t any or there are many? 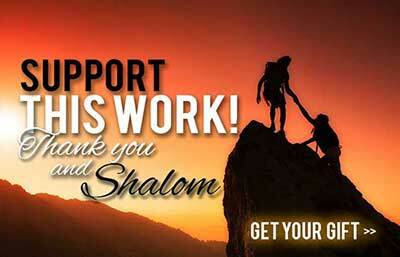 I found Torah keepers online through Bible Explorations (started by SDAs) and 119 Ministries. Sabbath is Saturday not Friday evening. It is common knowledge that the Hebrew day as described in scripture starts at sundown the previous day. Excellent I am so excited to hear this. I have been a Sabbath Keeper some 36 years and I love 7th Day humble services, but I would not be there on Feasts Days nor keep I communion with them. This is a blessing to hear. Is there a place in Chicago Area that keep the Yahweh’s Feast Days. Look on the 119 Ministries map online. I found local feast keepers that way. We just got together for feasting on Thursday and Fri night for Sukkot! I LOVE THIS!!! My first Feast was Sukkot/Feast of Tabernacles 2016! Things are really moving now and there were a lot of very significant political things that happened in 2015 and 2016 on Feast Days specifically! The Pope being invited to speak to Congress for the first time was one of them! Prophecy is being fulfilled and Yahweh is calling his people back to covenant and HIS way of worship!! This is my view on the feasts days ,the ceremonial laws that pointed to the redeemer were done at the cross. To keep these means you are not excepting Jesus as the true sacrifice . Are we still looking for the true lamb of God? That is simply not true. If the feast days are done away with, why are they prophesied about in the millennial kingdom? (Zech 14) Are the people in this prophecy rejecting Messiah as well? NO! The truth is, the feast days are still very much in effect and keeping the feasts that Yahweh commanded us to is in no way denying the sacrifice of the Messiah. And the prophets made it clear that the feast days will be kept in the kingdom. https://yrm.org/amazing-biblical-feasts/ This free booklet goes into much more depth. Blessings! I guess that you have a right to think as you please,but if the feast days are still required,are you still offering up the unblemished lamb for a sacrifice. If the old covenant is still in effect,that would be a requirement,it seems to me. Hallelujah! I always told people the SDA’s only know one thing: the Sabbath. So wonderful to find them waking up. To YRM I’m unclear: do you advocate animal sacrifices today? Each Holy Day has/had prophetic, fulfilled and memorial significance. The perfect lamb was sacrificed once and for all; no need for ceremonial/prophetic enactment. This is now a memorial. All these days will become memorials when all are completely fulfilled. We sit at the cusp of the fulfillment of Trumpets. Agreed? We do not advocate animal sacrifice, Yahshua was our perfect sacrifice. As for the feasts being fulfilled, we believe that the feasts will be kept forever, even into the kingdom. Zech 14 shows us this. We also agree that Trumpets is next in line to be fulfilled. An SDA asks: How can you keep the Feasts and still accept the Messiah? I have been struggling with this for a long time and have brought this up with church family. Went down like a lead balloon. Finally I googled for help and here I am. I’m from Brisbane Australia and am hoping to find a group to fellowship with . Can anyone put me on the right track? Is there a directory of feast keepers group worldwide. We travel a lot and would like to fellowship with like minds.